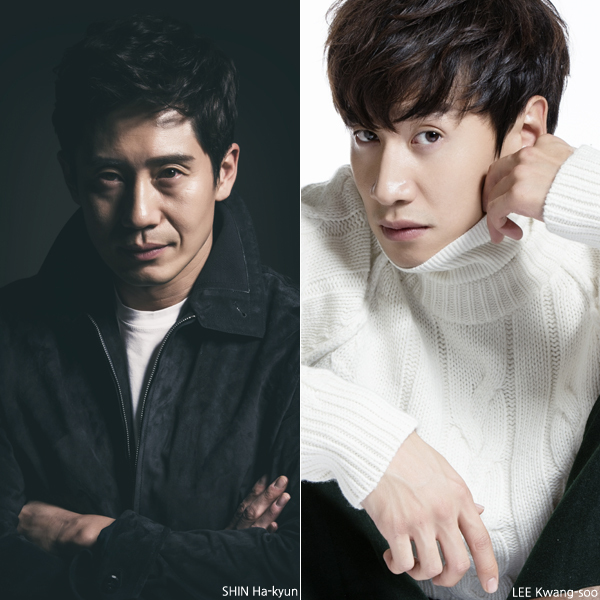 SHIN Ha-kyun will team up with LEE Kwang-soo in the upcoming human comedy My Exceptional Brother (translated title). From director YOOK Sang-hyo, the film is expected to go into production in late May. In the film, SHIN will play a man with a weak body and a brilliant mind while his younger brother, of the strong body and the weak mind, will be played by LEE. Known for his role in modern Korean classics such as PARK Chan-wook’s Sympathy for Mr. Vengeance (2002) and JANG Joon-hwan’s Save the Green Planet (2003), SHIN has continued to play memorable characters on screen. His most recent forays onto the big screen were in JUNG Byoung-gil’s Cannes-invited action title The Villainess (2017) and LEE Byoung-heon’s affair comedy What a Man Wants, released last month. A character actor in the film that later found his fame on the small screen, LEE Kwang-soo has been finding his way back to the big screen. He featured in 2015’s Collective Invention and will next be seen alongside KWON Sang-woo and SUNG Dong-il in E.oni’s comedy-thriller sequel The Accidental Detective 2: In Action, which hits screens next month. Director YOOK previously helmed the gangster comedy sequel Hi, Dharma 2 -Showdown In Seoul (2004) as well as the KIM In-kwon vehicles He's on Duty (2010) and Almost Che (2012). More recently he wrote the dramatization of IM Kwon-taek’s Revivre (2015).